Did you found it Easy and friendly? Do you believe that it can get easier and gave you more it can do ? Do you believe that you can write less and do more? Very high level, it can even be Object Oriented. Portable and ideal, no problem to use it anywhere or any device. Dynamic, which gave spirit to the static HTML tags,”also HTML5 supports it strongly”. Weakly typed , no restricted syntax, no restricted roles. Limited IDE Support since too little IDEs that provide syntax checking and auto-complete. No Debuggers, Errors due to JS are hard to eb detected and debugging although developer tools in browsers now facilitate the problem but not solved. Browser Compatibility which is the biggest issue JS developer can meet, since some functionality is supported by browser but no other. They could in few years hide the major browser differences so Problem of compatibility had now gone in addition to simplifying common operations “using the concept of write less” and providing clean APIs for dealing with DOM , animation , Ajax , JSON , etc. Which are open source and editable, so anyone can upgrade it and add his own addition to satisfy his increasing needs. It took the trend of DOM traversing, event handling, working with Ajax sufficiently and Effects & animations. Because it's very powerful, integration happened between it and some frameworks to become essential part of it, like ASP.net MVC and Struts 2. But why they preferred to use it instead of other libraries? i.e. why it became standard? They are friendly APIs, easy reading, understanding and editing. DOM traversing is very easy specially for complex criterion,now it's easy to select, traverse and modify elements contents by calling it's selector. Library is available to download with demos how to use, and very small size i.e. its light weight, which will not make overhead on the project especially with maven. Effects and animations “like calender, accordion, dialogs, fade in and out, etc. Are now available with new trends in the code library so no need to get additional .js files. Event handling with widely used events defined in jquery even without exposing ourselves to HTML code events. Ajax support that gave interactivity with server to the HTML code, using Ajax , data can be sent to servlet, action, etc and get response to be displayed on the page, the most seen examples in ajax is loading cities according to selected country. It supports CSS3 selectors and xpath syntax. The most famous projects written using jQuery was OS simulator, and online office. 1.7 November 3, 2011 New Event APIs: .on() and .off(), while the old APIs are still supported. 1.8.0 August 9, 2012 Sizzle Selector Engine rewritten, improved animations and $(HTML, props) flexibility. Another question, does it mean that using jQuery prevent from using other library with? The answer is NO, you can include any libraries together without conflicting. It's the power of libraries. It means that you can use strings, numbers, objects, functions, callign context as usual without any change and with the old syntax. 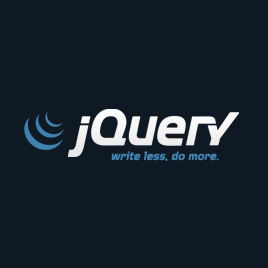 Well, now we know why we should use JQuery, but the question is how to use it? The reason for writing code inside the previous selector is to stop any jquery code of being executed before the document is fully loaded. This is all for a basic introduction. See you next time.